In 1995, two Ph.D. students at Stanford University, Larry Page and Sergey Brin, began a research project. Using Stanford’s system, Page developed a web crawler, and then he and Brin together developed an algorithm for a page ranking system, a means of determining which sites were the most visited and most popular among Stanford students. This early search engine was dubbed “Backrub,” and it ultimately crashed Stanford’s system, by becoming so popular among Stanford students that it utilized too much bandwidth. 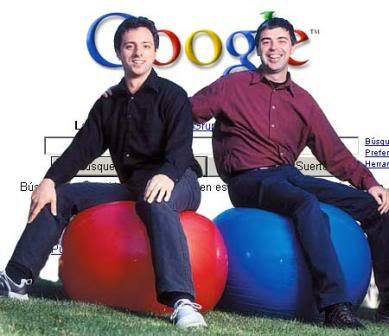 In 1997, the two friends registered their own domain name – Google. Actually the term is a variation of the computer term “googol,” a word that stands for the number “1” followed by 100 zeros. According to Page, the name was selected because he intended to make this search that huge in terms of individual searches. They moved into a friend’s garage, incorporated and hired one employee. Google certainly had competition within the search engine industry. What led Google to its success, however, were the sophisticated and efficient algorithms for determining page rankings. People began to trust Google’s search engine results and rankings far more than those of the others, and it was fast. It was always the goal of Google to have a simple page design, and that hold true today. However, the partners did decide to sell advertising; thus when search results are posted, to the right, searchers will find advertising of related sites. Now, when searches for products and services are conducted, the first few sites to pop up will also be from paid advertisers. These are clearly marked as such, because, as Page has always maintained, Google will be honest and ethical. “Don’t be Evil,” in fact, is his motto. Another major event in its phenomenal growth was the purchase, in 2006, of YouTube. This has been a huge money-maker for the corporation, whose stock continues to climb. In its early days, the algorithms used by Google were based upon the number of “hits” a website received. Those companies and organizations which received the greatest traffic were listed first on a search result that used specific keywords. Realizing that links to their websites would increase page ranking, companies began to “link stuff,” putting backlinks to their sites all over the place. Google caught on and changed it algorithms to discover this excessive back linking and to punish abusers. Companies then began to abuse the whole keyword thing. Realizing that keywords were the key to rankings, they began to “stuff” the content on their websites with the most commonly used keywords for searches in their niche. Google caught on to this too, and immediately began to respond by changing its algorithms and punishing sites that were guilty of keyword stuffing. New algorithms are continually developed and updated, as Google attempts to truly discover those sites that deserve high page rankings. The focus of its latest algorithms is on sites with good content, as Google continues to try to provide its users with good information. Today, Google enjoys 50% of the total search market – for one search engine site to have this percentage means that it must be doing something right!